Lets try a little pop quiz, shall we? 1) Are you one of those people who is terrified of making real old fashioned pie crust? 2) Do you simply not have time to make a pie crust, roll it out, and prepare a proper pie? 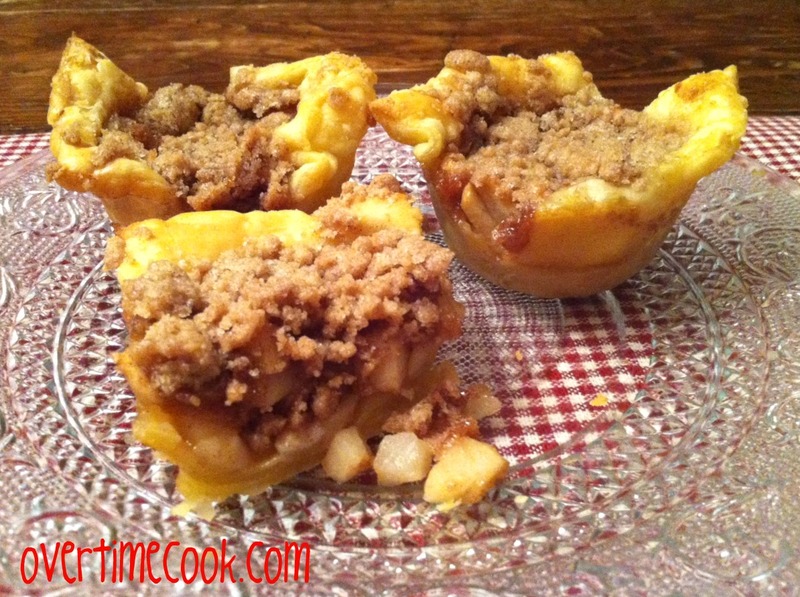 3) Do you have an over-abundance of delicious fresh apples this fall, and need a great way to use some? 4) Do you enjoy simple, easy and seasonal desserts? If you answered yes to one of more of the above questions, you will love this recipe. It’s as simple as buying some puff pastry, peeling and dicing some apples, and making a simple crumb topping. Really, it’s that simple. Besides, who doesn’t love single serve desserts? Peel and finely dice apples. Place in bowl. Toss with nutmeg, cinnamon, lemon juice and brown sugar until evenly coated. Set aside. 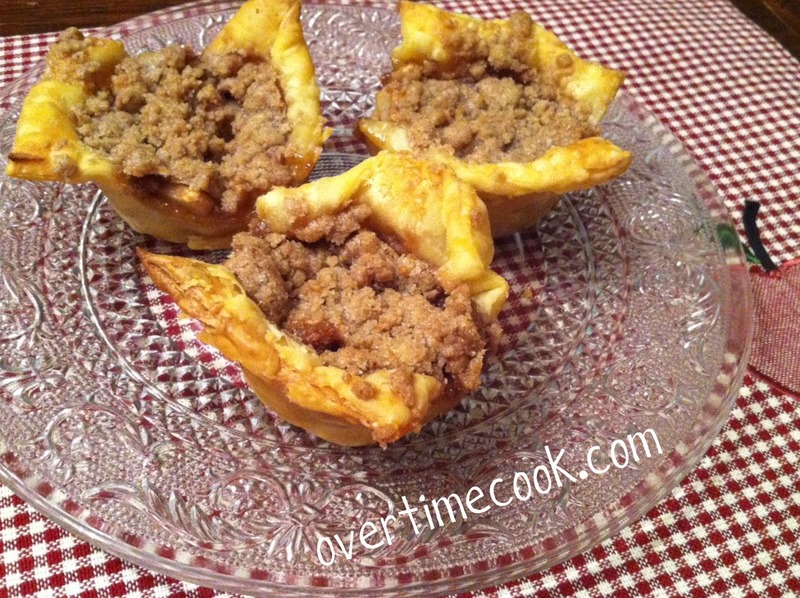 Assemble cups: fill puff pastry cup to the top with apples. Sprinkle a generous helping of crumbs on top. Repeat with remaining cups. Bake at 350 for 23-28 minutes. Just look at the deliciousness oozing out of these! Thanks Shaindy- so glad you liked them! Those look great! I love the idea of making little miniature pies, so cute! Thanks Annie! It’s somehow more appealing, isn’t it? Thanks Raquel! These are so easy to serve too because of the portion size. These are soooo good. I even had left overs and froze it for another time not knowing if they would be good but they were great!